Rational Production’s is a leading Italian manufacturer of foodservice meal delivery systems, represented in the UK by BGL Rieber. 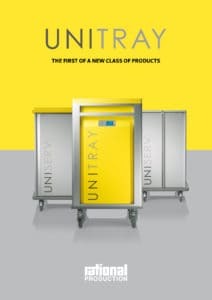 Unitray sets new standards of quality and ease of handling with a single integrated trolley. The integrated plated meal trolley system for use as a hotline or cook/chill trolley with heated/refrigerated and refrigerated compartments. 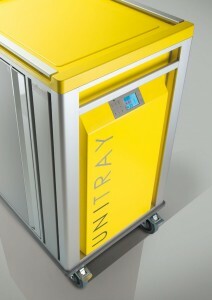 This is a single split tray system with capacities from 16 to 30 trays. Available single or three phase. 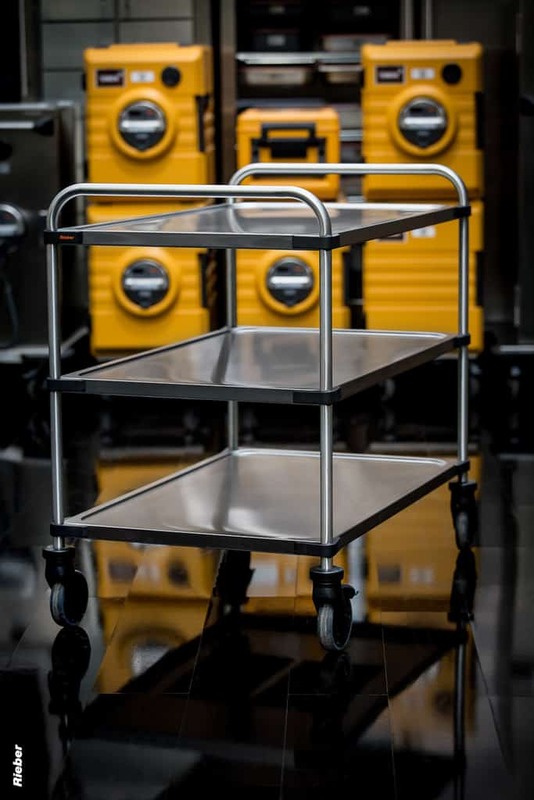 DSPRO System features a fixed docking station and mobile shuttle trolleys. 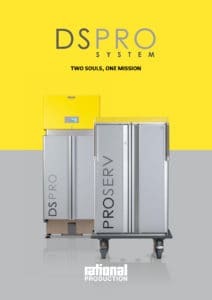 The DSPRO is a perfectly integrated regeneration station using a solid, simple and light shuttle trolley for meal delivery. 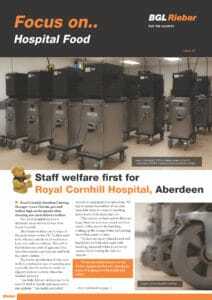 The DSPRO provides forced air heating and refrigeration. The ProServe shuttle docks to the DSPRO docking station for hotline or cook chill service. 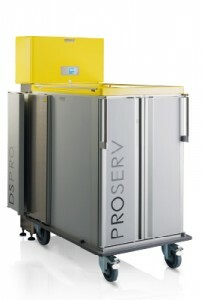 Once temperatures are achieved, the ProServe shuttle is detached and easily wheeled to the point of service. 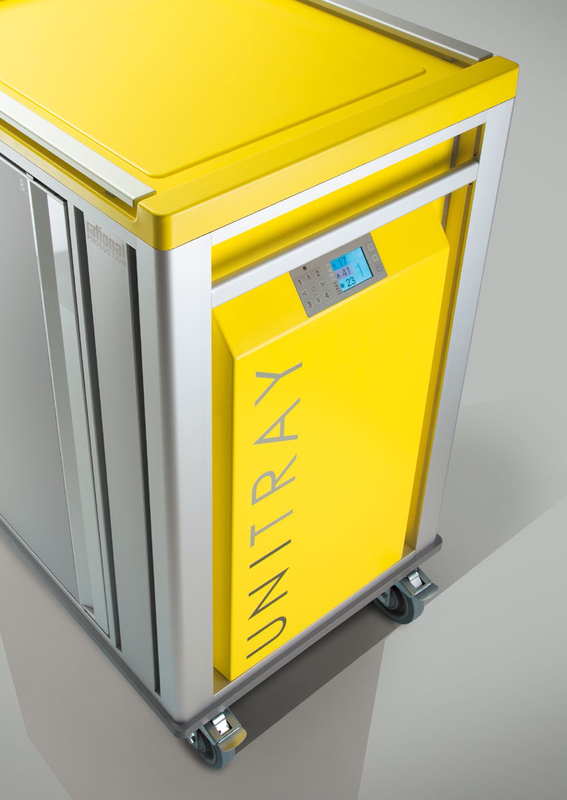 The ProServe uses the same single split tray technology as the Unitray, however without heavy mechanical components, it is much lighter and easier to manoevre. 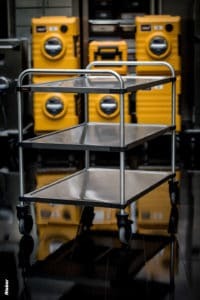 Whatever your requirement for either an integrated plated meal trolley or docking type system, BGL Rieber has the expertise to advise you on the advantages and merits each system has in relation to your own specific requirements, whether this be a large hospital or care home.